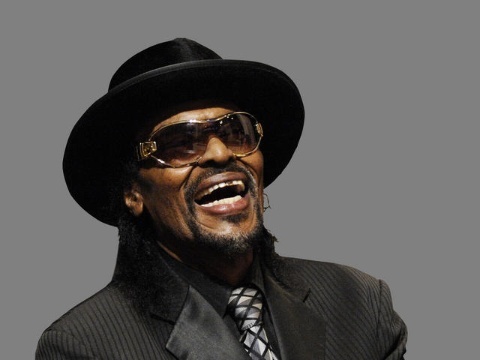 Chuck Brown, dubbed the godfather of go-go music, passed away on May 16th, 2012. In March, I had posted what was probably his most well-known song, the only one to make the Billboard Top 40 during his career, Bustin’ Loose. I still love, love, love this song–it’s like the soul of James Brown, meets the funk of Parliament, meets Latin big band. Chuck was called the godfather of go-go music that came out of the Washington D.C. area in the late 70’s. He’s said to be the originator of this blend of funk and Latin percussion, and call-and-response style of singing that became a cultural source of pride for the area. The music style got it’s name, Chuck says, because “the music just goes and goes.” To honor his musical contributions to his hometown, there’s now a street in D.C. named Chuck Brown Way. If you want to see the original post I made in March, and hear Bustin’ Loose, click here. For today, I’m posting below another well-known tune, We Need Some Money. Rest in Peace, but keep on go-go-ing, Chuck!